The jail has put 60 detainees on suicide watch since 2015, according to records Documented obtained from the facility. One detainee warned that a cellmate appeared to be having a psychotic break. Four detainees have attempted suicide in the last two years. Details of the death of one detainee indicate that Essex personnel failed to follow certain required procedures. Among other things, the report stated that a loaded gun had been found by an immigrant detainee in a staff bathroom, food was rotting, shower stalls were unsanitary, mattresses were unusable and detainees lacked outdoor recreation areas. One mental health counselor at Essex said “there were not enough mental health resources to meet the needs at the facility,” according to Eleni Bakst, a fellow with Human Rights First, who visited the facility in February 2018 and led the report on inadequate care for immigrants in New Jersey detention. There is one point in which you can tell that ICE is simply underfinanced and that it only requires more money on border security and subsidising that will cure the struggles ICE suffers from at the moment. But what you can read here in this article so far goes far beyond this point and can only be described as utterly irresponsible. A simple «We don't want those migrants to enter our country» won't suffice to describe what is going on there. This is no longer about one's personal preference in immigration policies, this is about maintaining the execution of human r9ghts, about empathy. Both points share bipartisan agreement, so I desperately wait for the administration on federal and state-level to act finally. Go ahead, Trump, do your f*cking job! The idea was batted down by Department of Homeland Security officials, including the new acting director of Immigration and Customs Enforcement. Matthew Albence, the Post reported. You see? There are even people in the DHS who don't like the idea, and these are the ones he has to come along with if he wants the job of erecting sanctuary cities done. Maybe we will fortunately never see those cities being built along the border. I was already sick of seeing the tent cities for the children who were to be deported. Let's think about it: The chapter said that it would be welcoming to the mgirants to live in such a city. Why? Because they would be among their own kin, namely people from Central American countries. Yet as I said before, in my then-uninformed opinion, this is going to postpone their immigration process altogether because they had no chance to become part of their new society, they would be held in a hiatus, neither immigrated, nor deported. You hold them remote, far from the real society, captivated in a parallel society. Why'd you therefore argue there were more ressources for them? You just put them somewhere else, but they are neither more, nor less than when being accomodated in an actual society, in a city like El Paso or Los Angeles. This argument is useless because it lacks actual facts referring to socialising immigrants who shall work in the US and live there in the future. The entire idea of sanctuary cities is bound to fail in the long run. She has befriended with other children from Central American countries, who splendid to hear that! Still, it doesn't sound to me like they really ever entered US society. First, the two of them were separated forcefully, and then, they were brought to San Jose, CA. To me, their situation sounds like they were also separated from the US society. Just because it says public doesn't mean that it is also diverse. That's usually the case when it comes to actually opposing something but legally being coerced into providing it. It's like with Conservatives who legally are coerced into having a functioning taxation system: They make it as difficult as possible so that those who have to pay taxes will have a hard time understanding how to file the paperwork. President Trump's comments Friday came after a report that he had floated the idea as a form of political retribution. Just last week, Senate Majority Leader Mitch McConnell (R-Ky.) triggered the “nuclear option” and weakened the Senate’s vaunted filibuster to steamroll over Democratic resistance to President Donald Drumpf’s nominees — the third time in six years the majority party has unilaterally changed Senate rules. 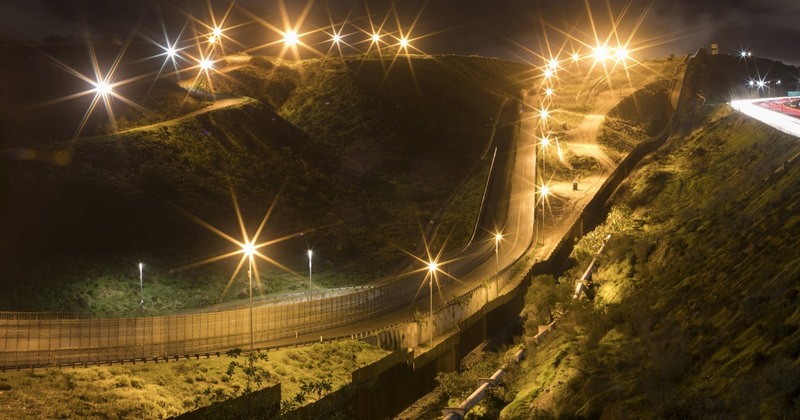 The Army Corps of Engineers awarded a $789 million contract to the Galveston, Texas-based company, SLSCO Ltd., for “border replacement wall construction” in Santa Teresa, N. M., near El Paso, Texas. Barnard Construction Co. Inc., of Bozeman, Mont., was awarded a contract worth $187 million for “design-bid-build construction project for primary pedestrian wall replacement” in Yuma, Ariz. Both projects, announced on the Defense Department website, are slated for completion in fall 2020. To pay for these new barriers, the Pentagon is diverting up to $1 billion to support the DHS to block “drug-smuggling corridors” in those areas. The Defense Department, triggered by Drumpf’s emergency declaration to build a border wall, took the unprecedented tactic of notifying Congress about the transfer of funding, rather than requesting the money through the appropriations process. The move drew fire from Democrats and Republicans who saw it as a way for the administration to sidestep Congress’ Constitutional power over government spending. The impending decision comes as new data released by the U.S. Customs and Border Protection (CBP) shows that unauthorized crossings, especially of family units, along the Mexico border had surged to record levels in recent months. Officials said Tuesday that 92,000 migrants were apprehended during a record-setting March. Of that total, 8,900 were unaccompanied minors — a nearly 120% increase over March 2018. Sure, he'd be better off being sent back and be hospitalised in either Mexico or in his home country, in which both medical treatments are of low quality, I guess. This is what the patriots sound like: I was born here, so only me and my kin have the right for proper medication, not the outsiders. The man is not a member of one of the migrant caravans that travelled from Central America to the US in 2018 and 2019, the largest of which totalled about 7,000 people in October 2018 according to the United Nations. The photo was taken in 2014 at a US Customs and Border Protection facility in Texas. The rash on the man’s torso is a likely a case of scabies, a contagious but treatable skin disease caused by mites. In 2014, a scabies outbreak spread in immigration detention centers and border patrol stations in South Texas’ Rio Grande Valley, amid a surge in irregular border crossings. Here is a report from a local news station on the outbreak. Maybe they should've done their research better, to at least get the infection right. Damn, those Trump supporters are just one great laughing matter, just like their idol. 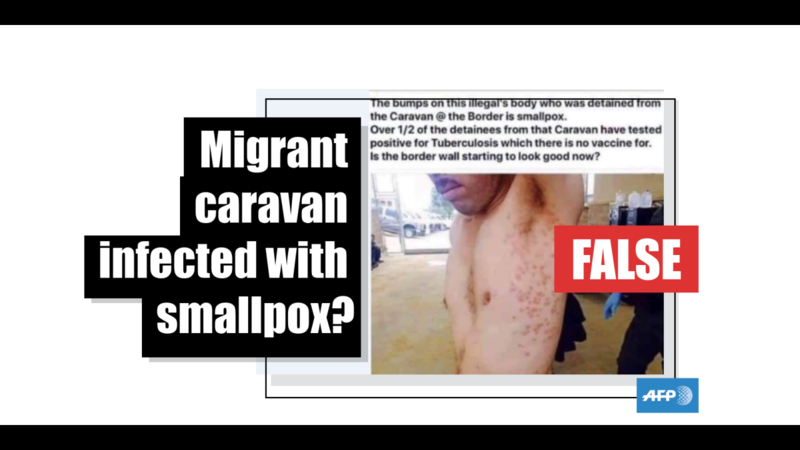 A photo shared on Facebook allegedly depicts a member of a migrant caravan found at the United States border to be infected with smallpox. The man in the photo did cross the US southern border irregularly, but in 2014, not as a member of a caravan of Central Americans who made the journey across Mexico to reach the US in 2018 and 2019. 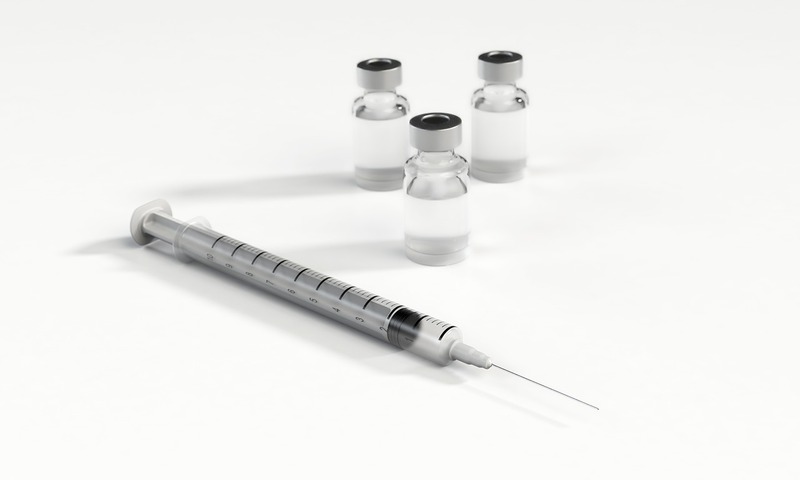 He was not infected with smallpox; smallpox was officially declared eradicated by the World Health Organization in 1980. "We're not looking to do that. No," Drumpf said when asked about restarting family separations during an Oval Office meeting with the Egyptian president. The president also argued that "once you don’t have it, that’s why you see many more people coming," adding that "they're coming like it's a picnic because 'let's go to Disneyland.'" Yes, because fleeing from violence, civil wars, poverty ,corruption and the such is like travelling to Disneyland over the holidays, the comparison makes perfect sense to me. NOT. "We have a lot of great people over there," Drumpf told reporters. "We have bad laws. We have a judge that just ruled, incredibly, that he doesn’t want people staying in Mexico. Figure that one out." I only figure out how you don't even refer to his argument on why he ruled against you. Did you even check what he said, why he thinks your measurements are unconstitutional? I don't think so, and therefore, it's useless to listen to you. A senior administration official who spoke to reporters on condition of anonymity said there are plans to draft a new regulation designed to challenge a settlement agreement stating that children cannot be held in immigration custody for longer than 20 days. President Trump said Tuesday he is not looking to resume the controversial practice of separating migrant children from their families at the southern border, amid bipartisan pushback against his plans to impose even stricter immigration policies. Speaking briefly to reporters in the Oval Office on Tuesday, Drumpf said he is not looking to reinstate the controversial family separation policy he suspended last year but then implied it was an effective means of stemming unauthorized border crossings. R.J. Hauman is government relations director at the Federation for American Immigration Reform, which advocates for strong immigration enforcement. Hauman says Drumpf has "an opportunity to correct the sins of his administration." He said Nielsen, whose specialty is cybersecurity, was a "neophyte" on immigration and didn't champion Drumpf's agenda. Yet it's no surprise Trump's choice fo an office was a bad one, or merely a poor one: Many offices in several countries are occupied by comparably bad choices, since those choices are not made by competences and references but rather by looking for someone in one's party who should be given an office to emit power. “Strikes me as just a frustration of not being able to solve a problem. Honestly, it wasn’t Secretary Nielsen’s fault. It wasn’t for lack of effort on her part. I don’t know if there’s anybody who’s going to be able to do more,” said Cornyn, who spoke to Nielsen on Monday and planned to speak to her interim replacement, Kevin McAleenan, later in the day. But on immigration, the party is not in lockstep with Drumpf. So even as the president pursues more aggressive strategies on the border, the GOP might not stick with him ahead of an election cycle that has the Senate up for grabs and with Republicans eager to take back the House. Nielsen had resisted the directive, according to NBC, which cited three unidentified U.S. officials with knowledge of meetings at the White House. It said Drumpf for months has pressured officials to resume the separations. In March, leaders of the Congressional Hispanic Caucus asked the White House for a meeting with all agency heads who contribute to the immigration policies that resulted in family separations, saying various leaders have given contradictory accounts of how the separations were carried out. A renewed push by President Trump to resume a policy that resulted in the separation of migrant children from their families at the U.S. The president grew frustrated during the meeting, which ended with an order for the Secretary of Homeland Security Kirstjen Nielsen and Secretary of State Mike Pompeo to shut down a portion of the border the next day, with plans to possibly expand the closures, according to the sources. What has to be minded is that they didn't want any part of the border shut down, while Donnie wanted it at all costs. In the end, they gave it in, they let their giant toddler win the argument. The aides were successful. By Friday the president tweeted "If Mexico doesn't immediately stop ALL illegal immigration coming into the United State through our Southern Border, I will be CLOSING the Border, or large sections of the Border, next week." "The president was literally hours away from sealing the border last week. Hours. But he was persuaded to delay, which gave enough time to consider alternatives," a senior administration official familiar with the matter told ABC News. "It also allowed Pompeo and Nielsen to ratchet up the pressure on Mexico, which started taking tougher action, though they didn't publicize it." 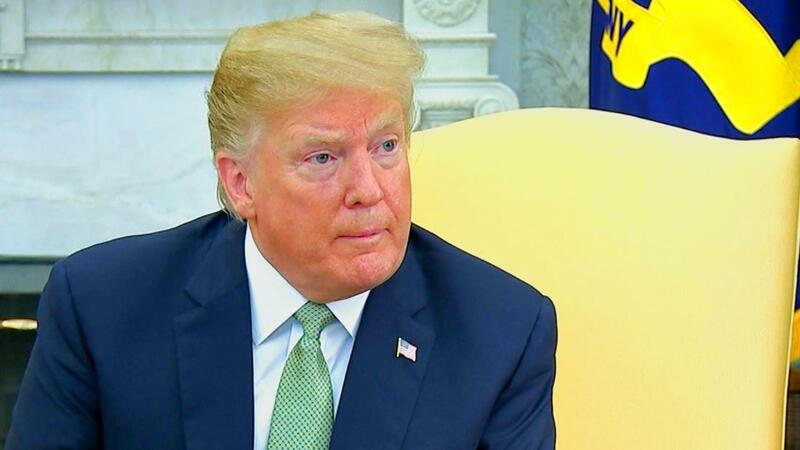 President Donald Trump came far closer to closing the border than previously understood, ABC News has learned from two sources familiar with the matter. U.S. District Judge Richard Seeborg in San Francisco wrote in a 27-page ruling that current U.S. law does not authorize the Department of Homeland Security to enact the Migrant Protection Protocols, first announced in a December 2018 memo by outgoing Secretary of Homeland Security Kirstjen Nielsen. "The court strongly rejected the Drumpf administration's unprecedented and illegal policy of forcing asylum seekers to return to Mexico without hearing their claims," said deputy director of the ACLU's Immigrants' Rights Project, Judy Rabinovitz in a statement. "Try as it may, the Drumpf administration cannot simply ignore our laws in order to accomplish its goal of preventing people from seeking asylum in the United States." Last week, Nielsen had ordered Customs and Border Protection to "immediately expand" enforcement of the Migrant Protection Protocols beyond its roll out at the ports of entry at San Ysidro and Calexico, Calif., and El Paso, Texas. The expansion was to have included the entire 2,000-mile border. Normally a batch of six nominees could take weeks to confirm, thanks to delay tactics Democrats have employed to stall some of President Drumpf’s judicial and executive branch picks. But Republicans have significantly shortened the maximum time lawmakers can debate about them and, under the new precedent, debate could only take a few weeks. To profoundly discuss a nominee to question his capability in terms of avoiding with someone unable to properly fulfill his responsibilities is not an obstruction but a precautionary measurement. I am negatively surprised you don't understand this. Although, on second thought, I am actually not surprised. It suits your previous decisions and behaviour. Democrats condemned the move to shorten debate time and said it would prevent them from thoroughly vetting Drumpf nominees, some of whom they believe have been ill-suited or unqualified for the jobs the president has assigned to them. Four 2020 Democratic presidential candidates sounded off via Twitter, using Nielsen’s resignation as another opportunity to criticize her 2018 defense of the Drumpf administration’s zero-tolerance immigration policy that led to the separation of more than 2,500 children from their parents who illegally crossed the border. Just last week, Nielsen likened the situation at the border to a “massive (Category) 5 hurricane disaster” during a Fox News interview. Speaking of hurricanes: What about the disaster funds for Puerto Rico, a US-American Oversea Departement, therefore supposed to receive humanitarian aids by the US government? Oh well, we're going to read about this later on. So, stay tuned for more information! Now the question is: Does he mean to enforce a border wall erection, or would he rather like more spendings on the CBP and ICE? We don't know, but maybe we're going to hear from him again sooner or later. Yet, he might not be the worst pick Trump ever made during his presidency. I am delighted to even go as far as to say that Trump may have made something right for the first time in his presidency. “We process them right there, in that camp, where they have the three square meals, they’re living in a nice mobile home, and then as soon as they’re done, as soon as the claim is rejected, they’re on the next plane back home,” Kobach said. That's not what I said. I didn't speak of direct rejection. It's a demand that has to be processed, and it will either come out as permission or rejection. What Mr. Kobach used was typical Republicanese. 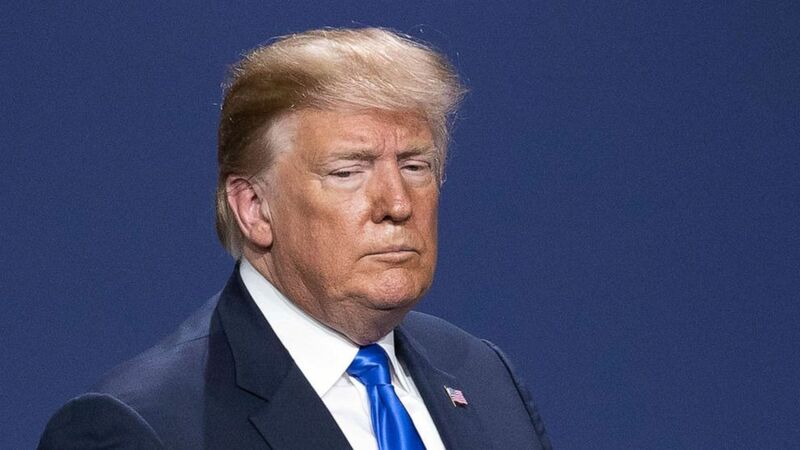 He first says that there surely will be a negative impact on the economy when the border is erected, but shortly after this, he recalls the great deal he has agreed upon with Canada and Mexico, namely the USMCA, which is akin to NAFTA. "Would totally do her if I had the chance, great catch for sure..."
"The Green New Deal. The first time I heard it, I said, 'That’s the craziest thing.' You have senators that are professionals, that you guys know, that have been there for a long time ... and they’re standing behind her shaking. They’re petrified of her," Drumpf said. A rising star in the Democratic Party, Ocasio-Cortez recently rallied the progressive base against a plan by the Democratic Party's campaign arm to protect incumbents from would-be primary challengers such as herself. “It doesn’t help with the messaging because we’ve spent the last 20 years trying to figure out how not to get labeled with the blame for a shutdown,” a Republican senator told The Hill at the time. That he would derail Republicans’ attempts to keep the focus on Medicare for All, as espoused by several Democratic presidential hopefuls, is par for the course. Scarred by 2017’s repeal-and-replace effort, the Senate Majority leader has indicated he will sit this round out. In a series of tweets and later during an appearance before reporters, Drumpf did not spell out exactly what a border closing would entail but said it could involve halting "all trade" between the two countries -- a prospect that would have profound ramifications for the U.S. economy. "If they don't stop them, we're closing the border," Drumpf said at an event in Florida. "We'll close it. And we'll keep it closed for a long time. I'm not playing games. Mexico has to stop it." 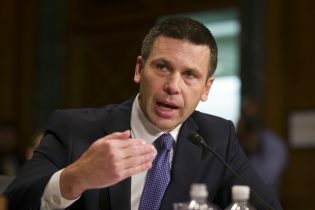 Drumpf's comments came after Kevin McAleenan, the commissioner of U.S. Customs and Border Protection, warned Wednesday that the U.S. immigration enforcement system on the southern border is at "the breaking point" and said authorities are having to release migrants into the country after background checks because of a crush of asylum-seeking families. 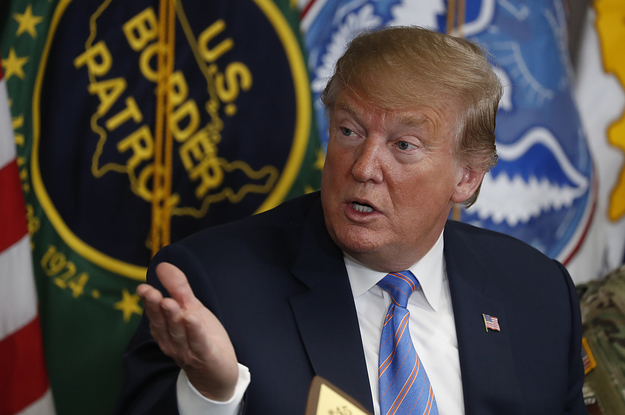 President Donald Trump said on Friday that next week he would close the southern border, or at least large sections of it, if Mexico does not halt illegal immigration into the United States, repeating a threat he has made before but never with a specific timetable. 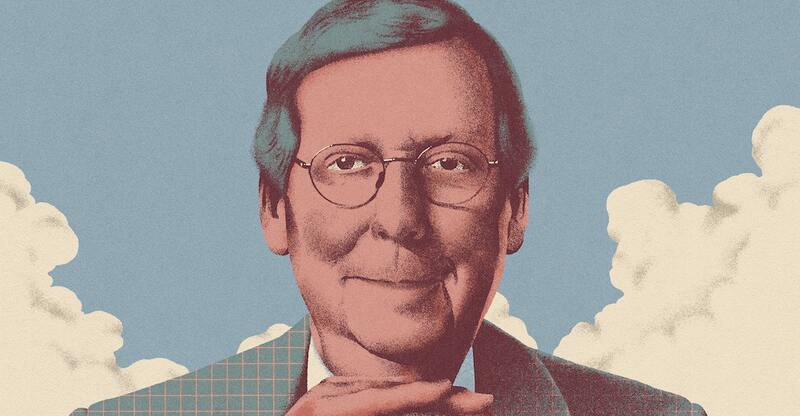 Mitch McConnell is the great avatar of the decades-long enclosure of our public life by money. He does not offer a stirring vision of conservative national greatness or even ends-justify-the-means rationales for Senate horse-trading that depart from the disheartening transactional version of our politics that reigns in the Citizens United age. In Mitchworld, you simply pay—and pay, and pay—to play. This is already tremendously exhausting to realise, and the text has only begun. Indeed, this unlikely conservative culture hero might go down in history as the man who saved their movement from the utter destruction of its electoral vehicle, the GOP. But that’s also the source of the profound distrust that Trumpist ideologues hold out for brazenly transactional leadership figures like McConnell, or Paul Ryan, or John Boehner; the Republican Party they’ve all been trying to shore up at the institutional level is the same structure that die-hard movement conservatives are dead set on immolating. 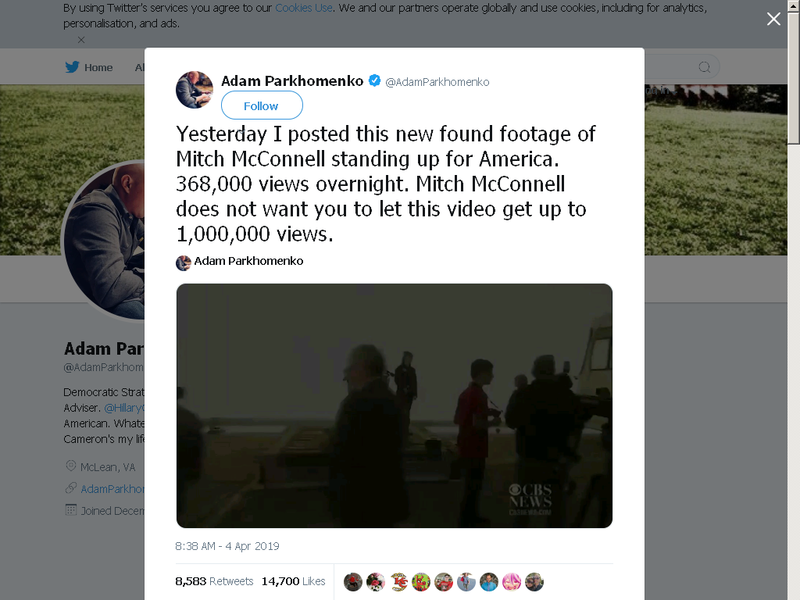 Mitch McConnell’s version of success, in other words, seems at most like a prophetic exile in the wilderness to the folks who have seized conservative power to wage the culture war as opposed to the workaday Republican business of plutocratic looting. To me, this soundsl ike he was an infamous hero booed down by those he actually contributes to, with a destructive policy that is like a good wine: It has to rest to become better, the beneficial outcome could be harvested in a few months, or years, who knows. [...] a man serenely unbothered by anything he’s done to get his power or anything he’s done with it, having few friends but many allies. A frank question: Who are his allies? Would you call Lindsey Graham (R - S.C.) or Donald Trump his allies? Because I seriously couldn't think of anyone else beside those two figures. Does Mitch McConnell really care if government spending rises or falls? Does he truly care if Social Security is privatized? His benefactors do, sure—and he cares about what they want for what are (yet again) painfully obvious reasons. But any issue without direct relevance to McConnell’s political fortunes is, for him, negotiable. Guess what: McConnell has no ideals but only cares for what is going to accelerate his parliamentary career. He chose the wing right of the centre, but in the end, it doesn't matter, as long as he keeps on serving as the Senate Majority Leader. Curiously, McConnell’s own personal fortunes are frequently left out of his profiles, perhaps because it appears vaguely unseemly for reporters or editors to just come out and say the plain truth: He married into money, which had enormous political benefits. This is not to make any unsavory insinuation about the nature of his relationship with Elaine Chao—it is, however, to note that she was a wealthy shipping heiress when they married, and he was effectively a lifelong politician who’d barely sniffed the private sector. It may have had an impact on him if he ever had been there. Maybe, we will never know though. And McConnell, as a political nihilist, always has an advantage over people determined to prove things work: It’s much easier to simply make things not work, if the only outcome you care about is electoral. He already had a documented history of changing foreign policy beliefs based on political donations: MacGillis records his quick transformation in the 1990s from an implacable foe of Red China to a supporter of “most favored nation” trading status with the People’s Republic, which coincided with some healthy fundraising from contributors to the U.S.-China Business Council. I guess we could call this a passive greed: Take money, and let politics happen in favour of your donor, what does it matter? When asked why so many Democrats in the upper chamber voted “present,” Ocasio-Cortez responded that she advised them to do so and slammed Senate Majority Leader Mitch McConnell (R-Ky.) for pushing a vote on the floor without a hearing in an attempt to put Democrats on the record about the proposal ahead of the 2020 elections. The Senate on Tuesday voted down the plan, which would seek to combat climate change by investing in eco-friendly jobs and transforming the economy into one solely reliant on renewable sources of energy. The upper chamber voted 0-57 on taking up the resolution. “Today’s #GreenNewDeal vote is a partisan stunt to side-step needed debate on climate action, and give Republicans cover to put oil lobby checks over our kids. I’ve come to expect nothing less from [McConnell]. I’ll be voting ‘present.’ I don't play ball with bad-faith farces,” Sen. Kirsten Gillibrand (D-N.Y.), one of several Senate Democrats running for president, tweeted before the vote. Rep. Alexandria Ocasio-Cortez (D-N.Y.), a progressive proponent of fighting climate change and backer of the Green New Deal, said she encouraged Senate Democrats to vote "present" on the plan’s Senate resolution. Red flag laws—also called extreme risk protection orders—allow law enforcement or civilians to petition a judge to have firearms removed from the possession of someone who they believe is at risk of harming themselves or others. The individual has the opportunity to protest the order. 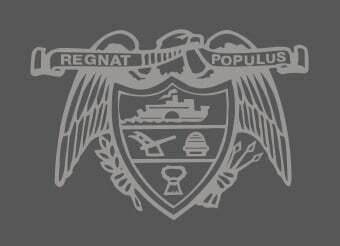 If it’s enacted, however, they may not purchase or posses a firearm for a minimum of 180 days. Those in favor of red flag laws state the regulation can prevent violence, particularly suicides. Those in opposition argue that unless the law addresses the value of the second amendment and provides for due process, it can be used to disarm innocent people. You're no longer innocent when you possess a gun you are able to use. From this moment on, you are suspicious. Sen. Lindsay Graham (R-SC) co-sponsored legislation with Sen. Richard Blumenthal (D-CT) proposing federal red flag laws after the 2018 Parkland school shooting, but it was unsuccessful. Sen. Marco Rubio re-introduced bipartisan legislation on red flag laws earlier this year, and the White House as shown support for such preventative laws as well. Who's going to succeed Sen. Tom Udall (D - NM)? While Udall and his colleague in the U.S. Senate, Martin Heinrich, each won their seats in races without an incumbent, it is exceedingly rare for that to happen in New Mexico. The Libertarian Party will lose its major party status after not fielding a gubernatorial candidate in the 2018 general election, but could still seek to place a candidate on the ballot in the U.S. Senate race. In the past, candidates have made up their minds quickly when a Senate seat opened up. Heather Wilson, for example, reportedly decided to run even before Pete Domenici officially announced his retirement in 2007. Wilson was very close to Domenici. Who might run to replace Tom Udall in the Senate? Thank you @POTUS for standing up for America, supporting @DHSgov and declaring this humanitarian & security crisis exactly what it is – a national emergency. It was a pleasure to see our great partners in state & local law enforcement & the Angel parents in the Oval Office today! According to CBP, the agency used fiscal year 2017 funds to construct "approximately 38 of 40 miles of wall in place of outdated designs in San Diego and El Centro, California, Santa Teresa, New Mexico and El Paso, Texas." "The House and Senate resoundingly rejected the President’s lawless power grab, yet the President has chosen to continue to defy the Constitution, the Congress and the will of the American people," Pelosi said in a statement. President Trump vetoed a resolution blocking his national emergency, marking the first veto of his presidency. Follow here for the latest. "We have the opportunity to take a major step forward in ending the horrific war in Yemen and alleviating that terrible, terrible suffering being experienced by the people in one of the poorest countries in the world," Senator Bernie Sanders, a Vermont independent, said. Congress would need two-thirds majorities in both chambers to override a presidential veto and have the resolution take effect. So far, backers lack sufficient votes in both the House and Senate to do so. Asked whether senators had been briefed on the White House's discussions in Riyadh, Kaine told Al Jazeera: "No we have not. Not about Khashoggi. 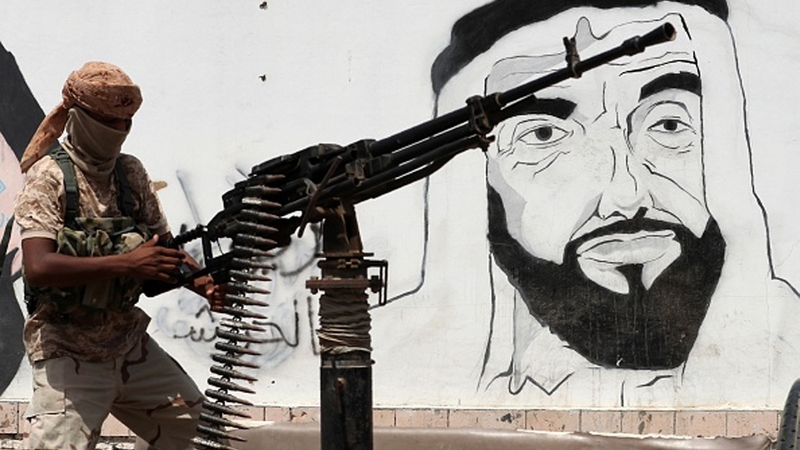 Not about Yemen. Not about discussions about nuclear technology transfer. We have no information." 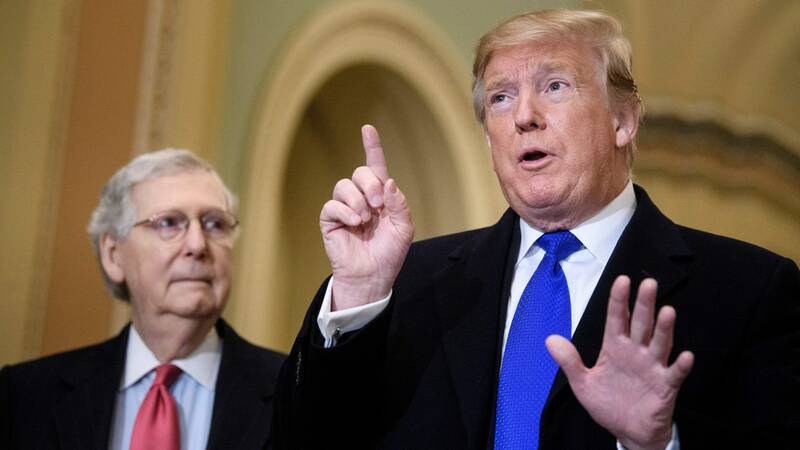 “For the comparatively cheap price of just $66 trillion I’m told the government could buy every American a Ferrari,” McConnell said on the Senate floor Wednesday. Because this clearly is a valid argument against the Green New Deal. Give everyone a Ferrari instead, this will solve the problem likewise. 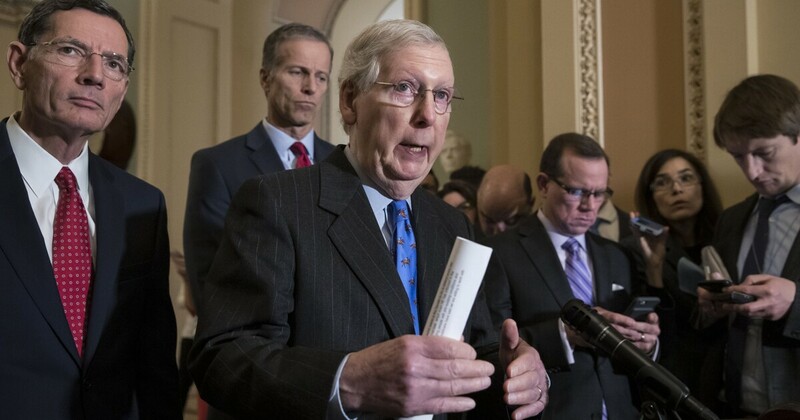 McConnell joined other Republican lawmakers who took to the Senate floor to criticize the Green New Deal, which calls for radically transforming the U.S. economy to fight global warming and dramatically expand welfare and “social justice” programs. 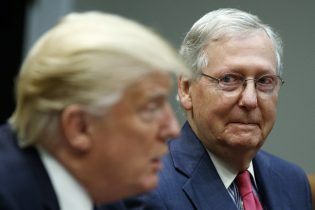 “Cars, lawnmowers, commercial airliners, everything must go,” McConnell said. Why's this phony know-it-not still in charge? Could we get rid of him and replace him by someone who actually knows how to properly execute the job? 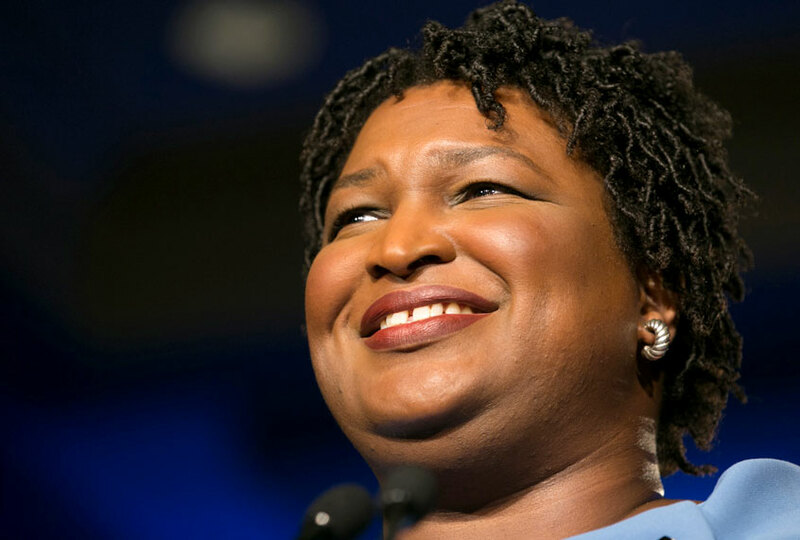 In a tweet on March 8, the freshman Democratic lawmaker criticized Drumpf for wanting to divert money via a national emergency declaration to build a wall on the southern border but did not take the same action over opioid overdoses. “Drumpf wanted almost $6 billion for his wall, which Congress refused. But Congress acted to give the administration more than $6 billion for the opioid crisis, so there was little need for him to transfer funds without congressional authorization,” the Washington Post concluded on Tuesday. “One can question the effectiveness of the Drumpf response to the opioid epidemic without resorting to red herrings and false equivalency. Only in the most narrow technical way is her statement correct, so we cannot quite consider this a Four-Pinocchio claim. So Ocasio-Cortez earns three,” the Washington Post wrote. “Wacky Nut Job @AnnCoulter, who still hasn’t figured out that, despite all odds and an entire Democrat Party of Far Left Radicals against me (not to mention certain Republicans who are sadly unwilling to fight), I am winning on the Border,” Drumpf wrote on Twitter. Coulter's protestations, echoed by members of the House Freedom Caucus and other conservative lawmakers, were partly blamed in December for Drumpf’s decision not to sign a stopgap funding proposal that allocated far less than the $5.7 billion he had demanded for the wall — plunging the federal government into a 35-day partial shutdown. “Ann Coulter, I don’t know her. I hardly know her. I haven’t spoken to her in way over a year. But the press loves saying ‘Ann Coulter.’ Probably if I did speak to her she’d be very nice. 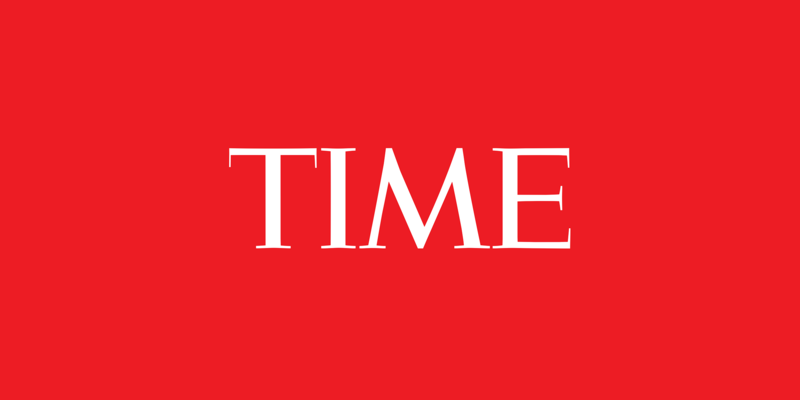 I just don’t have the time to speak to her,” Drumpf said. 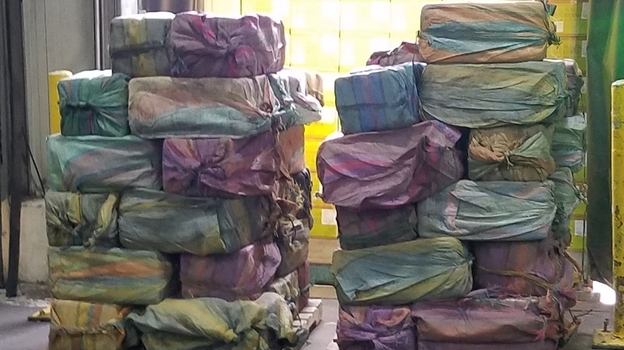 Through the first five months of fiscal year 2019, U.S. Customs and Border Protection reports there have been 268,044 apprehensions – a monthly average of 53,609, which would put the U.S. on track for 643,306 this fiscal year. As for the 2019 calendar year, there have been 114,436 apprehensions in the first two months of this year. That’s an average of 57,218 per month, or 686,616 a year. Way to go to exceed one million. Trump has a lot of work to do in diminishing safety and wealth in the states southwards, a lot of military interventions are required to accomplish this challenge. 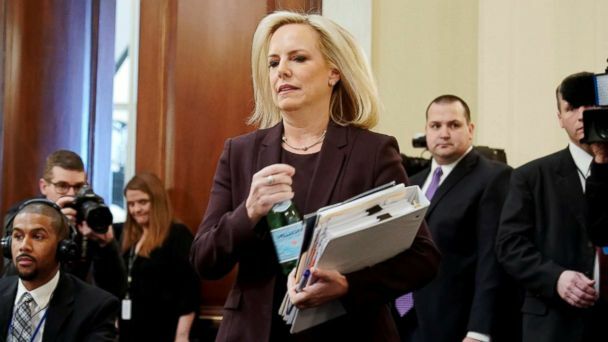 When Nielsen said “this year,” she was referring to calendar year 2019, not the fiscal year, a department spokesperson told us. The secretary gets to “close to 1 million” based on “the rough estimate of 2,700 people encountered per day in February,” the spokesperson said. "But a government watchdog report revealed that the administration may have separated thousands of additional families under an earlier pilot program that was not disclosed. Attorneys for the Justice Department had argued that the class action lawsuit should not be expanded because "they assert it would be too burdensome for them to identify the members of the newly proposed class," the judge wrote. "The court made clear that potentially thousands of children's lives are at stake and that the Drumpf administration cannot simply ignore the devastation it has caused," said Lee Gelernt, the lead attorney in the ACLU's family separation lawsuit, in a statement.